Volkswagen Touran Interior, Sat Nav, Dashboard | What Car? All models have a front centre armrest, height-adjustable seat and rake and reach adjustment to the steering wheel. In addition, SE trims and above get standard adjustable lumbar support. There’s a broad enough range of movement in the seat and steering wheel to suit most drivers. The seat is a bit firm but it’s supportive and comfortable enough for long journeys. Full electric adjustment is available as a fairly pricey option on all but entry-level S models. The pedals are well placed and the dashboard is as good as it gets for ease of use. 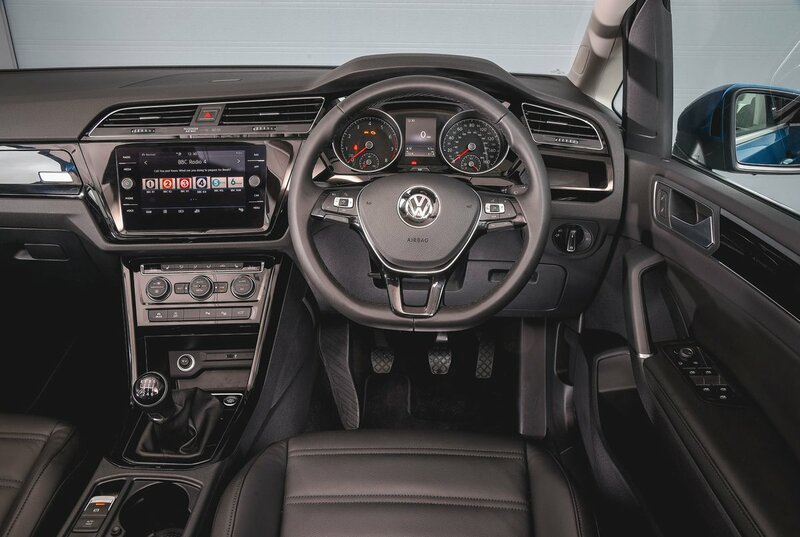 There are clearly labelled shortcut buttons either side of the standard 8.0in colour touchscreen, the air-con controls are straightforward and the instrument dials are easy to read at a glance. The high-set seat gives you a good view up the road and the fairly upright pillars – along with tall front and rear screens and side windows – ensure you have a clear view when negotiating junctions. 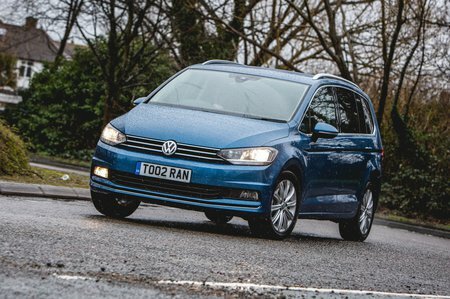 The boxy shape of the Touran also makes it easy to judge the car's extremities, and SE models and up have front and rear parking sensors as standard to make things easier still. A reversing camera and an automatic parking system are also offered as inexpensive options. Heated, electrically adjustable wing mirrors are standard across the range and a heated windscreen is a well-priced option. All Tourans have an 8.0-inch colour touchscreen as standard, complete with a DAB radio, Bluetooth and a USB socket. SE Family models gain an upgrade to VW’s ‘Discover Navigation’ system, with sat nav and a three-year subscription to the brand’s Car-Net service. The latter provides information such as traffic and fuel prices that could be handy on your journey. SEL and R-line also add is Car-Net App Connect, a feature that combines the functionality of Apple CarPlay, Android Auto and MirrorLink. Put simply, it allows you to integrate your phone into the car’s system via the USB socket. An upgrade to VW’s flagship ‘Discover Navigation Pro’ infotainment system brings a bigger 9.2in touchscreen. This includes gesture control, which allows you to scroll through menus and change radio stations or playlists using mid-air hand movements. It's a gimmick that – in our experience – doesn’t work terribly well, though, and is rather expensive, so we wouldn’t bother. Whichever size touchscreen you have, you'll find the operating system easy to use and fairly quick to respond, although there is the odd small display icon that can be hard to hit accurately while you're driving. High interior quality tends to be a hallmark of Volkswagen cars, and the Touran doesn't disappoint. The materials feel dense and there’s a decent mixture of textures. The switches and stalks feel solidly damped and there’s an overall sense of solidity. 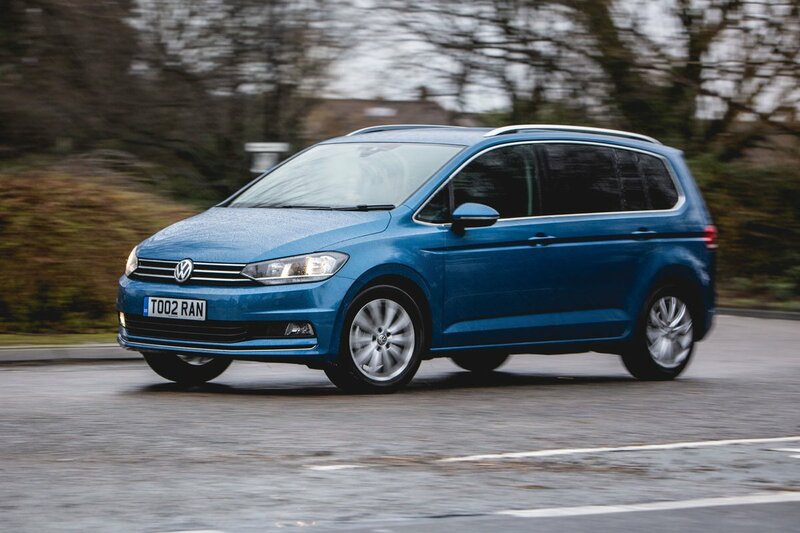 The interior materials start to take on a slightly more utilitarian feel lower down, as well as in the rear seat area, but don’t detract from the Touran’s generally classy-feeling ambience. True, it doesn’t quite match the top-notch feel of the BMW 2 Series Gran Tourer, but that car is more expensive to buy and the Touran is easily the best of the rest.